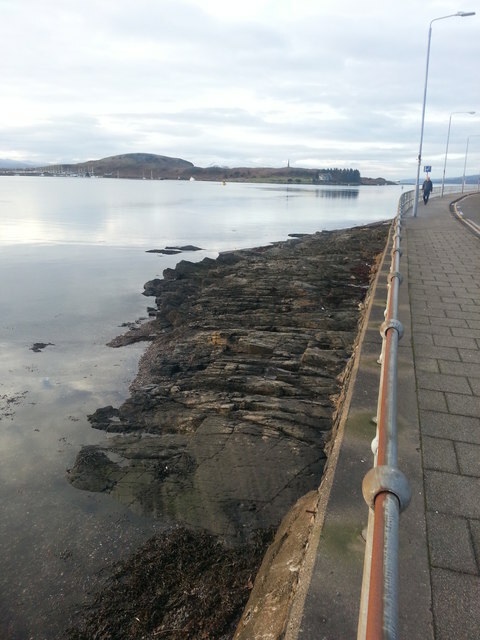 Exposed bedrock on the shoreline of Oban Bay, viewed from the Esplanade. To the right is the barrier placed to keep pedestrians and vehicles from falling onto the shore. The island of Kerrera is in the background; the marina upon the island is visible. © Copyright Iain Macdonald and licensed for reuse under this Creative Commons Licence.